Jim Christensen of has recently expanded his team and welcomes Stephen Andersen and Laurie Brown. The Mission at inSOURCE is simple. We want to meet or exceed your service expectations. Our goal in all business dealings is to provide products which best serve your needs. Our professionalism, competence, and continued education will help you reach your financial goals. Our objective is to work hard and work smart, keeping our priorities of family and work in proper perspective. Steve Andersen is excited to continue his long relationship with Ameritas with a focus on retirement and estate planning. He has been a member of the “Million Dollar Round Table” for 46 years, a member of MDRT “Top of the Table” for 12 years, and a recipient of the NAIFA O.R. Frey Award. 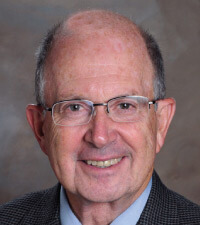 Mr. Andersen serves on the Board of Directors for a Nebraska bank and is a University of Nebraska Lincoln Letterman’s Club Board of Advisors. He is an avid fishing and hunting enthusiast and looks forward to continuing his commitment to provide his clients with the best possible service tailored to their needs. 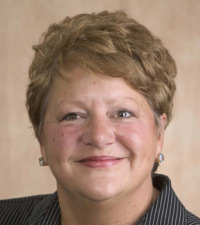 Laurie Brown has been promoted to Retirement Plans Case Manager with inSOURCE Benefits Group. She has many years of experience in retirement plans serviced thru Ameritas. James Christensen established inSOURCE with the notion that, “Employee Benefits and Financial Strategies need to be serviced not sold.” This idea has carried on through our daily activities and has become the cornerstone of our company. We are insurance and investment brokers who are always bringing new ideas to the attention of our clients. inSOURCE wants you to have the options available, the resources to educate yourself, and the professional opinion that comes with over 30 years of service in the insurance and investments industry. inSOURCE Benefits Group has offices located in Lincoln and Omaha. You can contact Steve and Laurie at (402) 827-4467. Securities and Investment advisory services are offered solely through Ameritas Investment Corp. (AIC) Member FINRA/SIPC. AIC and INSOURCE, Inc. are not affiliated. Additional products and services may be available through James R. Christensen, Jr. and Stephen D. Andersen or inSOURCE, Inc. that are not offered through AIC.